Have you ever wondered what makes the equipment manager tick? Or what they even do for a team on a daily basis? Well look no further because I was lucky enough to be able to catch up with the St. Louis Blues’ Assistant Equipment Manager Chad O’Neil to see how he got into this awesome job field, and what fuels his passion for the sport we all know and love. Here Chad makes sure player’s gloves are nice, toasty, and dry for the start of Tuesday night’s game vs. Winnipeg. 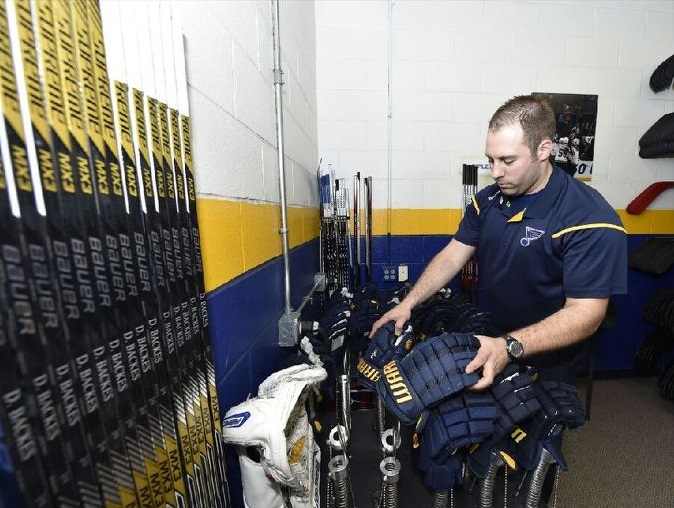 In a nutshell, the equipment manager’s focus is to ensure all players needs are accounted for, and they have the necessary gear to do battle on a nightly basis. This can include a wide array of tasks, from sewing in pads to add protection to gear, washing a player’s gitch (mainly their “Under Armour”), and even to sharpening skates just they way that specific player needs to dangle-snipe each game. This job may be thankless at times, but these equipment managers/trainers/gurus keep each team from falling apart on the ice throughout each and every skate. 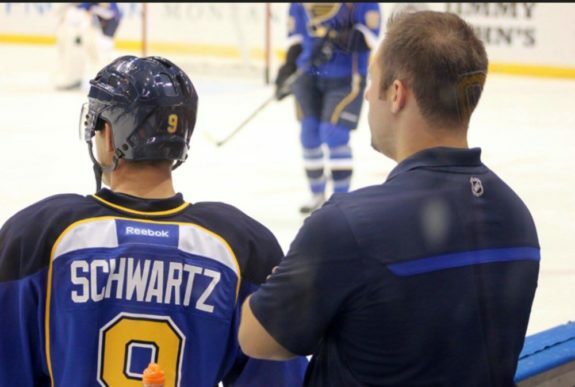 It goes beyond preparing the players for practices and games however, as the equipment manager even has a role in analyzing player strides, shots, and other aspects of their game alongside the other trainers to make sure each is continuously developing into the crucial piece the team needs to make it to the next level (which is often the coveted Stanley Cup). 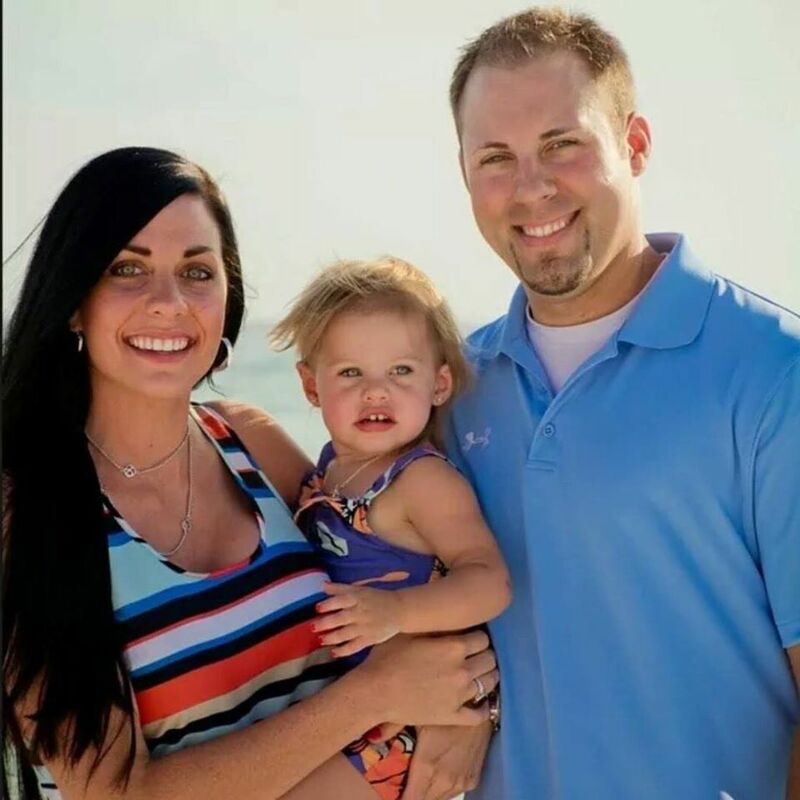 This is where Chad O’Neil’s passion lies, and now we’ll get a behind the scenes look at why he loves his job so much and what drives him to be the best he can be (NOTE: Chad’s responses will be denoted CO). 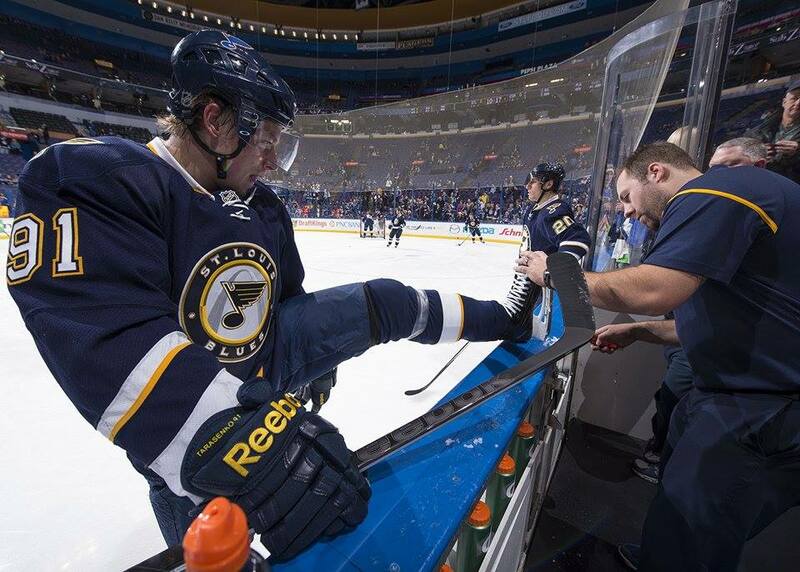 Chad makes some last minutes adjustments to Vladimir Tarasenko’s edges. When did you first realize you wanted to be involved in the NHL? CO: I think I realized I wanted to be in the NHL as a kid; I was probably 8 years old. However at that time it was as a player and not an equipment guy (he chuckles). But after I was done playing Junior hockey I turned my attention to equipment and never looked back. I think we can all relate to that dream. Who would you say is your biggest influence/role model? CO: My biggest role models have always been Brett Hull and my Grandpa Charlie Kohler, though Brett was my childhood hero. I loved how he wasn’t ever afraid to speak his mind or tell it how it was, and I loved to watch him shoot the puck! One of the greatest shooters of all time! My Grandpa is my role model because of how liked he has always been around our community which is important to me. I learned from him at a young age how to take care of family and friends, how to talk to people, and also how to be a good salesman (he’s one of the best car salesmen in the country). Here O’Neil helps TJ Oshie find the right dangle-snipe cannon to beat the Jets at home. How did you decide that Equipment Management was the right path for you? CO: Ever since I can remember I was always customizing my own equipment. Whether it was painting my gloves, removing logos to look like pro gear, or curving my sticks I just always loved to make it my own. I was the only high school player in my area with my own custom Sher-Wood shafts, blades, and gloves, and I loved sharpening skates! That was always my specialty. What’s one or two things people don’t know about your job that they should? CO: One thing that most people don’t know is that trainers usually don’t get a lot of sleep. We have to be the first ones to the rink in the morning and the last ones to leave at the end of the day. Sometimes that means really long days and nights only getting 1-2 hours of sleep to make sure everything is done and ready for that next day. Another thing most people don’t realize is that I also work with the visiting teams, as do other NHL trainers. 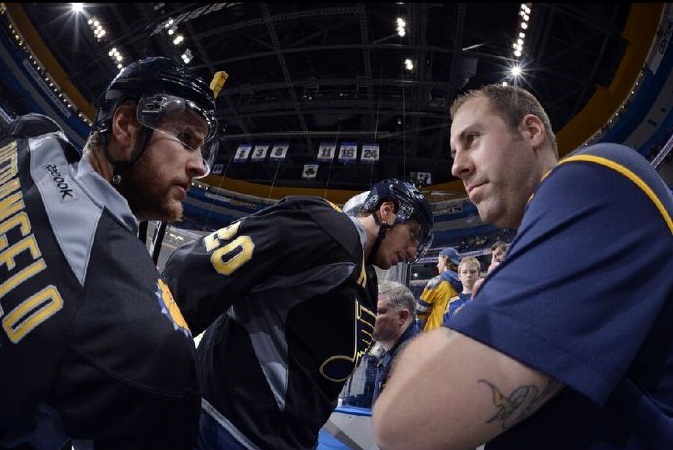 Blues Assistant Equipment Manager Chad O’Neil analyzes a Blues’ warm up last season. I meet them at the airport, sometimes at 1:00 or 2:00 in the morning, and load all of their equipment and supplies onto a box truck and take everything to the rink (with their trainers) to hang the gear and get everything set up for game day. I also set up their locker room, do their laundry, and take all of their equipment back to the airport after the game to load onto their plane. That takes max time and effort behind the scenes. What’s the toughest part of your average game day? CO: The toughest part of game days is trying to stay one step ahead of everything and anticipating player’s needs accordingly. I try to stick to a routine as much as possible but there is always something new that pops up that needs repaired or taken care of. That’s also what makes this job fun though. O’Neil and Alex Pietrangelo chat about the upcoming contest and what to expect from the Jets. What’s the easiest part of those days? CO: The easiest part of game days are the pregame skates. If something breaks or needs repaired we have time before the game to fix it, where as if something breaks during a game we have to fix it right away and in a very short amount of time. I like having time to spend fixing the gear perfectly when I can. What’s the most rewarding thing you get to do in your role? CO: The most rewarding thing for me is watching the guys succeed night in and night out. That was one thing I loved about working with the St. Louis Bandits over my time there. I enjoyed watching the guys win championships, and move on to college, minor, and pro hockey to see how they developed as players. What’s the hardest part about the NHL lifestyle? CO: The hardest part about the NHL lifestyle is probably time away from my friends and family. I miss a lot of things in my daughter’s life that I will never get back. Some days I come home between 11 PM and 3 AM, and she’s sleeping. Then the next day I am headed back to the rink at 5 or 6 AM, before she’s awake, so that is really tough for me and weighs on me often. Another really tough part of the job is trying to catch up on everything around the house, and yet still spend as much time as I can with my wife and daughter on off days, because there’s just so much you want to do with them and around the house, and only so little time to do things. I love and cherish every second I get to spend with my family though and wouldn’t trade what I have for anything. Here’s who really keeps Chad’s drive high, his beautiful family. There you have it, what great insight into the day-to-day life of someone who helps keep an NHL team up and running each and every day. It was great speaking with Blues’ Assistant Equipment Manager Chad O’Neil to shed some light on the daily grind, and why he’s so passionate about his work. It’s not everyday you get to tinker with some of the best athletes on the planet’s gear, to allow them to reach even higher compete levels. 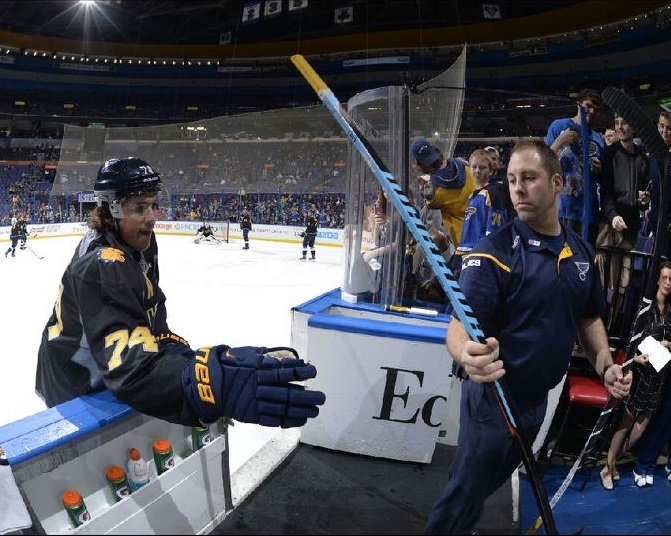 I know I speak for every NHL player (especially every Blues player) when I say thanks for all you do Chad, and all the other Equipment Managers and trainers across the league (and all leagues for that matter). Your hard work does not go unnoticed and the game wouldn’t be the same without you!